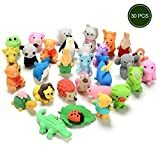 30PCs Animal Rubber Toy Set, Food Grad..
Docooler Baby Bath Toy Mermaid Wind Up..
Anself Bubble Maker, 36Pcs Baby Bath T..
sensadore Included Component 1 pc Adju..
sensadore Included Component 1 pc Todd..
Anself Baby Bath Toy Bubble Machine Fr..
T Rex Big Hatching Egg Bundle Toy Dino..
VERZABO FROG Bathtub Bath Toy Set for ..
Safety 1st Stretch And Store Bath Toy ..
Baby Bathtub Toys for babies 19 months..
Finding Dory Nemo, Hank & Mr. Ray ..
All About Babies Bath Time Bubble Book..
TUB FUN Tub Pals 5 Piece Set of Floati..
Shopaholic Animal Family bath Tub Sque.. 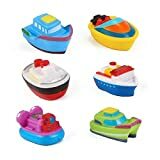 Floating Boat Party Toy Rubber Water B..
VERZABO Bathtub Fountain Whale bath to..
Children learn best through hands-on experiences, and bath time is a great opportunity for parents to make it fun. Sometimes babies are frightened of noisy running water or they dislike water in their eyes. 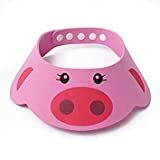 Giving them a little distraction in the form of baby bath toys can help make bath time a more stimulating and fun experience. Whether they play with squirt toys, rubber ducks, stacking cups, nets, or tugboats, a little variety can make their time in the tub feel more like exploration than a chore. 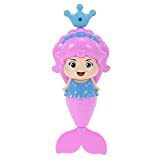 That is why several top online retailers bring to you a selection of kids' bath toys which can make bath time fun and engaging. If you buy baby bath toys sale through CashKaro, you can further enjoy the benefit of getting extra cashback, which indeed doubles the fun and satisfaction of shopping for baby bath care products! Choose a variety of bath toys for babies like boats, animals, birds, geometrical shapes and even dolls, to unleash you child's imagination. Not only creativity, these children's bath toys are known to build fine motor and gross motor skills as children grasp them, swing them, throw them and splash them around. Babies and toddlers love bathtub toys because they take delight in all kinds of water play such as filling, emptying, and splashing. As babies learn to sit up, crawl, stand and then walk, the possibilities quickly expand, and soon enough, they are ready to experiment with nesting cups, activity boxes, stacking rings, large blocks, and a little later with shape-sorters. 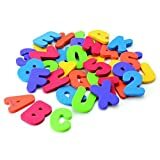 These bath toys for toddlers help develop fine motor skills and teach relationships among objects. A smart way to bring about comfort in water is to bring vibrant toys that keep them happily engaged. 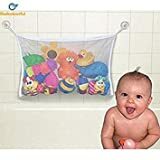 Some of the best baby bath toys have multiple features like musical sounds or bubble making abilities, through which your child is going to associate bath time with leaning and fun! Toy baby bath are in fact, believed to provide tactile stimulation, which in turn, help focus your baby's attention. Through the various e-commerce sites, you can have access to a range of products from some of the best sellers around. With blocks and bricks to suit any budget you have, you can get a variety of bath toys for kids which will not only make your children happy, but help them in developing holistically. 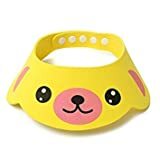 Play is considered one of the primary factors responsible for supporting children in forming a healthy relationship with their environment, and with easy access to a variety of products, you can buy baby products online after extensively going through the multiple options and choosing exactly what you want. Plus, most of the popular online shopping sites also offer convenient prices and discount filters so you can wade into a budget-friendly search. A key part of any baby's routine, bath-time is the bit of the day where you can finally relax and have some fun with your little angel. Rather than make it a chore, inspire their imagination with your pick of the best toddler bath toys. What's more, with the aid of promo codes and discount vouchers, you can also lay your hand on some cheap baby bath toys in no time! 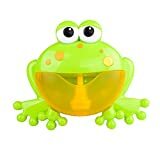 There are also lots of lovely yet cheap bath toys for babies available that promote different aspects of development. You should always make sure that the toys or items in the bath are safe for your baby, be it the ones that are squeezed by the little hands or the ones that keep floating around merrily to keep your child gleeful! Please check Hobber site for Exchange Offers available.